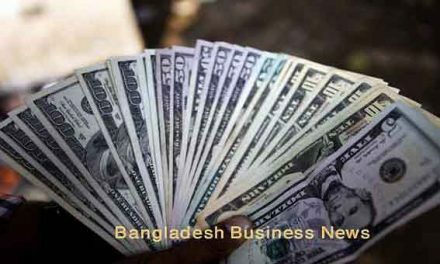 Chittagong, Bangladesh (BBN) – The Chittagong chamber chief has called for efforts to remove obstacles to trade between Bangladesh and Russia. President of Chittagong Chamber of Commerce and Industry (CCCI) Murshed Murad Ibrahim spoke at a meeting with consul general of Russia Oleg P Boykoin the port city, the chamber said in a statement on Wednesday. The CCCI chief urged Russian investors to come to Bangladesh as the country provides a “suitable environment for foreign investment”. He also urged the consul general to advocate for quota-free access for Bangladeshi readymade garments to the Russian market. Boyko expressed his willingness to invest in Chittagong considering the city to be the most attractive and suitable place for trade, business and investment in Southeast Asia. He stressed exchanging information for better bilateral trade and business and expected to work in collaboration with the Chittagong chamber. He assured the chamber leaders of his efforts to remove all hindrances to bilateral economic relations.